Here are the 4 Alice in Wonderland dresses. Pattern is the princess dress from 1/2007 Ottobre. Modified to have the apron top sewn into the bodice and omitted the sash. This was the first pair I made from this pattern. Size 110 and they are plenty big on my narrow 7 year-old. I made a green pair as well. 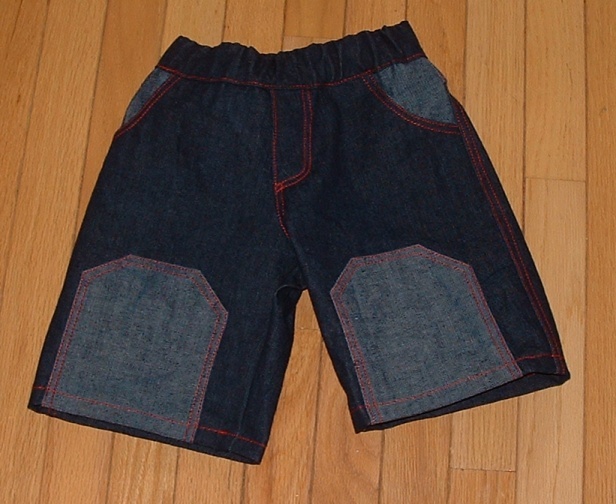 I've made 2 pair of shorts for my now 7 (!) year old and one pair for the younger one. 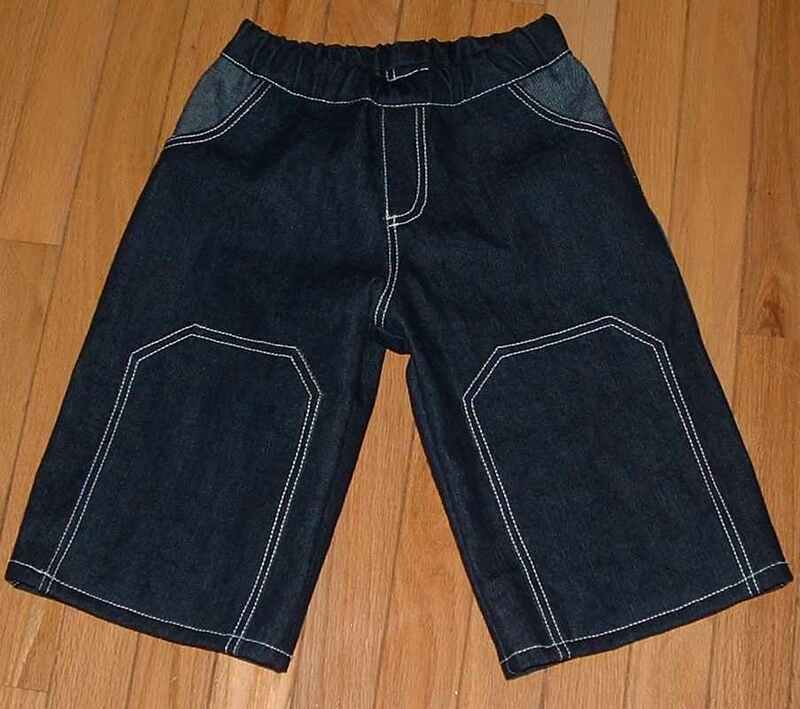 These are from Ottobre Design 02/05 in size 80. They are huge on my 2y10 month old. 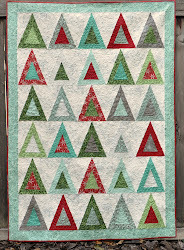 I think I'll fold some of the fullness out of the pattern when I make him another pair. This pair has elastic issues as well... new elastic, I didn't realize I needed to use a smaller length to allow for stretching. 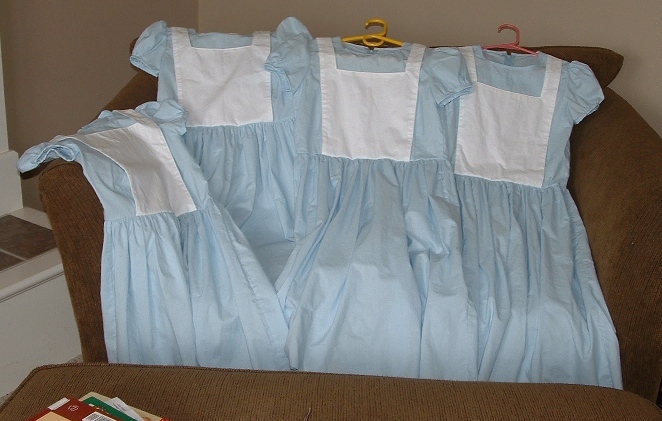 I am finishing up 4 Alice dresses for the homeschool group play. It has been a bigger, more complicated project than I anticipated and I can't wait until they are done! I have them all done except the zipper and neck binding on one last dress. 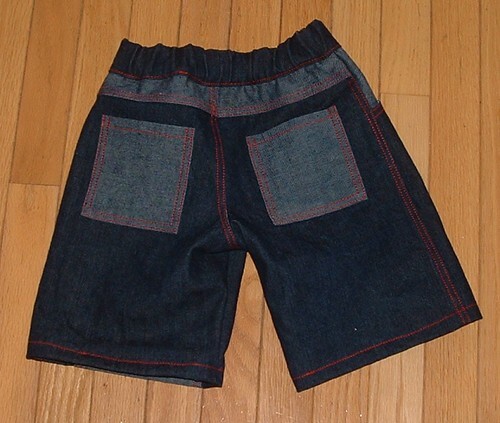 Then I will be working on olive denim shorts for my son and a few other things that have been on my list for ages.